Whitney Houston on stage during her 1988 Moment of Truth tour. 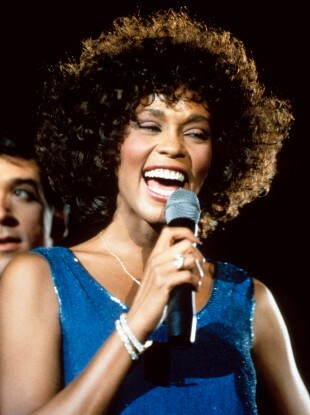 SINGER, ACTRESS and former model Whitney Houston has died aged 48. Houston, the goddaughter of Aretha Franklin and cousin of Dionne Warwick, began singing at an early age and made her debut recording as a backing-vocalist in 1978. Her debut album Whitney Houston was released in 1985 and launched her career with successful singles How Will I know and Saving All My Love For You. Of the 53 singles released over the next two decades of her career, Houston had 11 number ones in the US. Her hit track from The Bodyguard, the Dolly Parton-penned I Will Always Love You, stayed at the top of the Irish charts for weeks at the end of 1992 and through January 1993. Email “Videos: Watch Whitney Houston’s number ones”. Feedback on “Videos: Watch Whitney Houston’s number ones”.